This is a review of the Gitzo Traveler Tripod (GT1542T Series 1, 6x Carbon Fiber, 4-Section), a very lightweight tripod designed specifically for hiking and traveling purposes. Choosing a tripod for photography needs can be a rather frustrating experience, given how many different tripods are available on the market today. Depending on what you shoot and your budget, there are literally hundreds of different choices available – from compact “GorillaPod” to heavy duty tripod systems designed for super telephoto lenses. In this review I will write about Gitzo, a brand name that has truly become one of the most recognized among photographers, thanks to their high quality support systems designed for life-long use. Without a doubt, Gitzo tripods have been reputable among photographers due to their high quality build, excellent stability, great ergonomics, durability and reliability – all while being lightweight and easy to carry. At the same time, Gitzo is also known to be a premium brand with a high price tag, with many of its products offered above $500. If you are just getting into photography, that number will surely sound scary for something that is supposed to simply hold a camera. I remember the first time when I saw a Gitzo tripod at a local camera store. Priced roughly at $800 USD, it seemed not only way out of reach of my budget, but it left me wondering why anyone would ever spend that much money on tripod legs alone, when my Nikon DSLR kit cost me a little over a thousand. Little did I know then, that I would spend more than that over the next year, going from one tripod system to another. When it comes to tripods, you almost always get what you pay for. Cheap tripods can not only ruin your pictures, but they can also ruin your equipment. The very first cheap tripod that I bought from Best Buy broke in less than a week. I replaced it with a more expensive tripod that lasted a few months before I threw it away – it almost cost me my camera. The plastic mount broke while I was trying to position the setup, which sent the camera down. Thankfully, the camera fell on the grass and nothing was broken. At the time, I was just getting into wildlife photography and having bought my first telephoto Nikon 300mm f/4 AF-S lens with a 1.4x teleconverter, I knew that I needed something more stable. That’s how I got my next tripod, which I spent several hundred of dollars on with a pan/tilt head. The tripod worked great for general photography, but shooting birds in flight was close to impossible with it and my frustration with blurry pictures was just driving me nuts. Finally, after so many failures, I decided to get a Gitzo Systematic tripod with an Arca-Swiss ballhead. I have been using the same setup for over 6 years now and I have used all kinds of gear on it, including some of the heaviest Nikon super telephoto lenses like the Nikon 400mm f/2.8G VR. While I will be reviewing my trusty Gitzo Systematic tripod separately later, this review is for the much smaller and more compact version of the tripod that I bought specifically for travel and hiking purposes. The Gitzo Series 1 Traveler tripods are designed to be small and lightweight for portability purposes – exactly why I decided to get one for my photography needs. Since I travel by air quite a bit, taking the bulky Systematic series tripod was just not working out for me. Not only was it painful to squeeze it into a carry-on size bag, but it was also taking half of the space, leaving practically no room for my clothes for short trips. In addition, since I have been doing mostly landscape photography lately, I decided to get a lighter setup with a smaller ballhead. Hiking with the tripod and heavy metal ballhead was getting painful and I found myself leaving the tripod behind more and more, only to regret that I did not have a tripod with me later. The twist lock system is very easy and convenient to use. Rotate it counter-clockwise to loosen the legs, extend them to desired size and rotate them clock wise to tighten the legs. While it might be faster to use a flip lock system, I find the latter to be less stable in general, especially when enough pressure is applied to one of the legs. With a twist lock system, once you lock it and tighten it, it sits dead on. I personally stay away from center columns, because they generally de-stabilize the setup. However, Gitzo does a really good job with how it designs the center column – once extended and tightened, it does not wobble at all. I would not extend it all the way up though, since it will surely make the system less stable. The center post has a hook on the bottom for additional stabilization, so you can hang a light bag or some light weight on it. 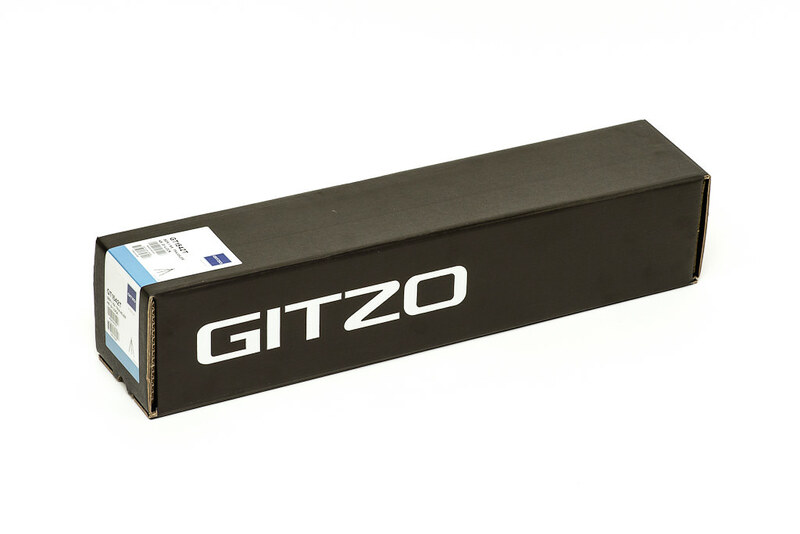 It is a Gitzo, so it is nothing less than “excellent” in terms of build quality. 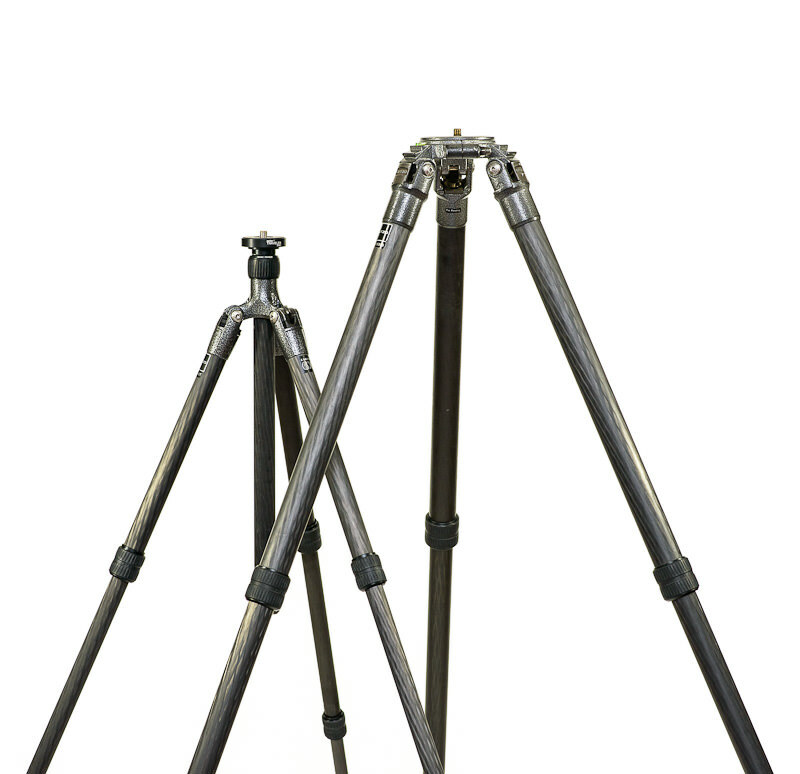 Gitzo tripods were originally made in France, then once the company was bought by Vitec Group, all manufacturing was eventually moved to Italy. Gitzo products get tested by very demanding professionals, so you will see very few badly designed or defective products on the market. I bought this Gitzo Traveler tripod for hiking and traveling light. While it is not designed to handle heavy super telephoto lenses like the Gitzo Systematic series, it is good enough to handle a pro-level DSLRs like Nikon D4 and heavy lenses like the Nikon 70-200mm f/2.8G. Coupled with a reliable quick-release ballhead (I bought the BH-30 from RRS), the Gitzo Traveler series tripod can be a great lightweight solution, particularly for landscape and urban photography needs. Overall, I am very pleased with this tripod. It nicely compliments my Gitzo Systematic series tripod that I now only use exclusively when mounting heavy super telephoto lenses for wildlife photography. 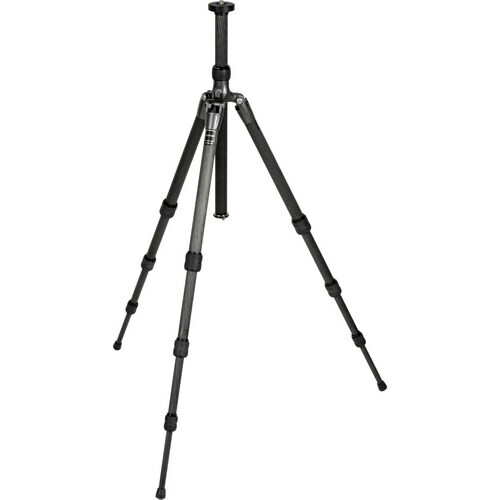 The Gitzo GT1542T Series 1 Traveler Tripod is available at B&H for $679.89 (as of 06/21/2012). A tripod head must be purchased separately. If you only use a tripod occasionally, then it might not be worth investing on a Gitzo Traveler tripod. If you are looking for a good tripod to start with, check out the Oben AC-1410 tripod that I reviewed earlier – it only costs around $120 and it comes with a ballhead. Thanks for that review, and all the others what I look at with large interest. Do you think that Tripod could carry the D4 – 70/200 with the ballhead in vertical position, without vibration. Gegeti, it can certainly handle the D4 with the 70-200mm, as I have already pointed out in my review. Obviously it won’t be as stable as the heavier tripods in terms of vibration, but I find it to be good enough for typical use. Make sure to use the tripod mount on the 70-200mm, not on the camera (the lens is too heavy). Nasim, while I was on vacation in California, I shopped for a tripod in the upscale town of Pleasant Hill. At a camera shop the cheapest looking tripod cost $200. That sent me to Best Buy, where I bought a very well made Dynex tripod for something less than $40. I’m very careful when positioning my cameras, my D3100, and my $1,200 Panasonic High Definition video camcorder, everything is screwed down tightly. The job of a tripod is pretty basic, hold the camera still. With all due respect to you as a professional photographer, Nasim, paying $40 for a piece of equipment that simple is a good call for me. 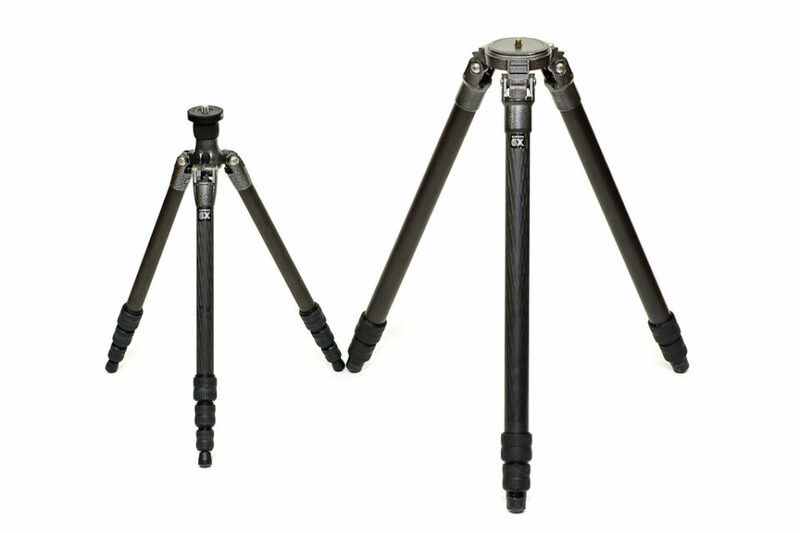 In m’y opinion, Gitzo sturdy tripod start only with the 3º serie, all the others are compromise. Gegeti, I agree, however, those are also bulky and heavy in comparison… so it is always a compromise. This is slightly off-topic Nasim, but I am looking for a head(an arm, actually) for a tripod that can shoot down… that might involve a new tripod as well. I’m not even sure what it is called. I’d love your help! As always, your advice is spectacular. Look at the Benro Panhead series… I have one and it is great. Deana, most tripod heads can be configured to look down. You can use a ballhead or a pan/tilt head like the Benro Panhead that Don mentioned above. Gitzo’s Explorer series tripod has a column that can be oriented in just about any direction that you like, including straight down. I wouldn’t recommend mounting anything too heavy on it when the column is straight out to the side though, and also be prepared to have some sort of counterweight (sand bag, camera bag, assistant?) on the leg opposite the direction of the center column. 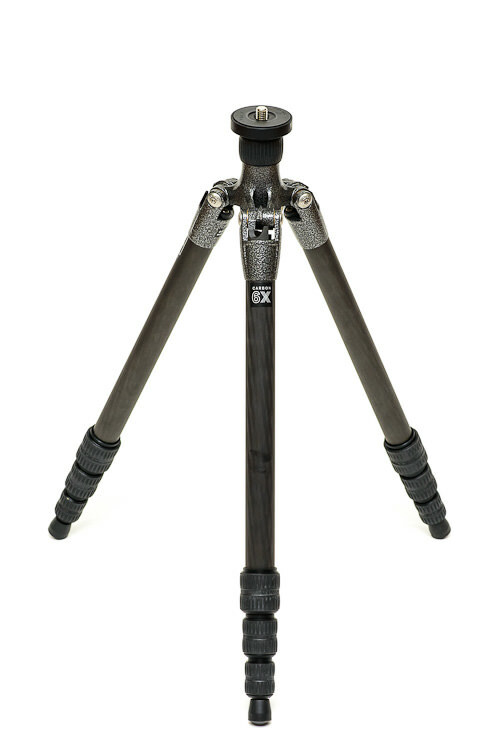 Search online for a review, I believe Luminous Landscape has a review of an older unit (before the Gitzo 6X carbon fiber came out) and has some good photos illustrating the unique “center” column on this tripod (the column isn’t actually centered but is offset slightly). This actually was my first tripod because I wanted something versatile and thought I might get into macro photography, and though the center column isn’t centered it is still quite sturdy and I haven’t found its design to detract from its use as a traditional tripod. I believe buying a tripod is a long term investment, so I try to buy the best tripod that I can afford. I’ve already known about Gitzo and carbon fiber tripod, but my budget is limited, so I bought Manfrotto aluminum with pan & tilt head. The weight is around 2.5kg and I find it quite uncomfortable to carry it around. If I’m just a hobbyist who has a plan to buy a full frame nikon with trinity lens and only rarely using tripod. Do you think buying a Gitzo will be useful for me ? FYI, There isn’t many tripod brand in my country, so buying Oben or RRS isn’t my option. Thank you for your always useful info and review. If I were you, I would wait until you have the cameras and lenses that you want to buy. Use your Manfrotto and see how often you truly use it. If you find yourself wanting to take it with you all the time, then get the Gitzo Traveler. Otherwise, why spend the extra money? I have a manfrotto 190CXPro4 tripod, but mounted on my Lowepro AW400 bag even with the pistol grip ball head removed, it swings around and endangers family and friends. A compact folded length is essential for backpack stability / safety. Chris, the “folded length” is 16″, as shown under “Product Specifications and Features”. I hike with this tripod on my back, also attached to a LowePro backpack. I have the legs and the top secured, so there is no swinging taking place. I leave the ballhead on though and it does not seem to be an issue. Oh Dear – I’m so blind!!! – sorry! maximal length: 96.96 inch (165cm) => thats much better than the Gitzo and important if you are a tall! Save the 620$ and enjoy your holidays! thanks for that!! – much better value! But for long travelings, if you are a backpacker, I would even go for a monopad/unipad: Thats again lighter, more comfortable and cheaper. Thank you for the review. I can agree with all you stated. I have used the Gitzo Traveler Tripod for a few years. It has traveled with me many times including a trip to Israel in 2010. I am afraid I repeated the mistake of many others, thinking $500 USD for a tripod was too much and I bought many cheaper tripods thinking that they would be good enough. None were good enough. My advise, Learn from the mistakes of others and save the money you would spend on several cheap tripods and buy one good travel tripod and one good studio tripod. The cheap tripods are actually expensive. A good tripod will make you a better photographer and will last you for years. Bill, thank you for your feedback! Yes, buying cheap tripods is expensive in the long run, you said it perfectly! When it comes to tripods, it is true you get what you pay for. As a Manfrotto fan myself, I carry around a 055CXPRO4 ($350). The Arca-Swiss type ball head a Sunwayfoto DB-52 LR ($300) on top of a Sunwayfoto DYH-66x ($100) Leveling base. And L-brackets for my cameras and foot clamps for my long lenses. Heavy? Yes. It is rock solid and the ball head is fluid smooth. I have literally beat this combo to death and it is still like new. I have got my money’s worth and more. Is the whole set up a pain to carry? Yep. But when the chips are down and I need security and a tripod/ball head for the job. I got it. I can not stress enough, no matter what anyone tells you, that you can’t spend too much on a tripod and a good ball head. I spent only $700 and then added the dang shipping and VAT to Ukraine, it worked out to slightly over $1000. My L-brackets are From Sunway, Fittest and B&H, those aren’t cheap either, but also totally worth it. John, Manfrotto and Gitzo are owned by the same company, so the quality of their products is superb. Looks like you have a great setup! About getting what you pay for, I’ve found an exception. Search for Ravelli APGL4 on Amazon. It’s an all metal tripod (even the locks are metallic) that includes a ball head and a second, smaller tripod. All for ~100$. So far, the only disadvantage is that it is somewhat heavy, but that’s a good thing for time lapse/long exposure shots because it makes the tripod sturdier. George, thank you for the info. The Ravelli looks like a great tripod, but it weighs 10 pounds? Not exactly a travel tripod :) But I agree – for regular use, it looks like a great and stable setup. Manfrotto, Giottos, Induro and others also make good tripods that do not cost as much as Gitzo…again, it all depends on how much you use it, for what purpose and what you mount on it. I’ve found that for video, time lapse, and large panorama photography, heavier is better. The old heavy metal (haha) stuff works better when you need something to stay absolutely still with no vibrations over an extended period of time, and finding them used is considerably cheaper than the new carbon fiber equipment. Of course, it would not be my choice when traveling or hiking. If you need to carry it any distance, certainly get the new and expensive carbon fiber gear or you won’t bother bringing it at all! Aaron, I have seen a guy at night use a video tripod with three section legs on each leg. It was a beast to carry, but the guy was happy with it, so I can see why it would be important for those kinds of situations. Induro is a great alternative to Gitzo – I agree. They have some great CF tripods that cost half of what Gitzo does. I am planning to review some Induro support systems in the future as well, great value. RRS is also excellent, but very very expensive. Thank you for the link Don – it looks impressive! Thanks again for a great writeup! It’s funny how I (and many others) had the same experience as you when “climbing” the tripod tree! IOW, starting with a cheapo tripod, then getting a “better” one (when you can’t believe you just spent over $150 on a set of tripod legs), outgrowing that one and then just getting the good stuff. Oh, the new combo is a Gitzo Systematic GT3542LS and Markins Q-Ball Q20. I’ve only had this combo for a very short time, but WOW can you tell the difference vs. the old Induro/Manfrotto combo! Sure, a 3-section tripod would have been more stable than the 4-section one that I bought, but the tripod/ball head combo fits in my carry-on suitcase. ATM, the plan is to detach the ball head, and pack clothes all around & in between the legs. As far as carrying this Gitzo/Markins combo around… I have a 11-day trip to Maui in 3 weeks, so guess I’ll find out soon how much of a hassle carrying this will be (5.5 lbs total). Just as I typed the last sentence, this Gitzo Series 1/RRS combo is looking very inviting… Hmmm, I *do* have 3 weeks before I leave. ;-) Thank you again! Ah, the tripod tree! Been there done that. Have you any comments on susceptibility to highish frequency vibrations, such as wind, waves against the jetty, water in a stream, for folks like me without VR? I use the Gitzo Traveler Tripod in combination with the Gitzo Center Ball Head, GH1780QR, and I am very satisfied with this lightweight solution. I do know that I would not take along a sturdier, heavier tripod. My tripod easily masters the D700 with the Nikon 70-200mm lens, not to speak of lighter combinations. That’s enough for my needs. Thus, I can fully support the conclusion you drew. load capacity: 3.3 lbs (1.5 kg) => thats a lot less than the Gitzos, but as a test I gave a lot of pressure/body weight on the top where the camera is supposed to be, till the Alu-Legs of the tripod flexed a little bit outward. I dont know exactly how much weight it was, but I guess I was pushing down with at least 22 lbs (10 kg) and the tripod is still very okay. Alu is a good and stable material. You do seem obsessed with pushing this tripod and I am sure it is not bad especially if you are on a budget or do not wish to pay a ridiculous cost of a Gitzo. However, if you read the reviews on the page you link to it is a pretty mixed bag. Many reviewers criticizing it for being flimsy. Whereas on reviews for the Gitzo traveler on the same site you will struggle to find any negative comments and not one that states it is not sturdy. At the end of the day we all have our own priorities but if portability and sturdiness alone are why you are buying then I would rather wait and buy the Gitzo especially if it is a second tripod even though I cringe at the price. About the sturdiness: I see only 5 comments and they are all good. They say its compact and sturdy (if you dont photgraph vertical, that was the only issue — for me personally its not importan to shoot vertical). I dont know man … Consumer Society wants you allways to make belive that you have to spend A LOT OF MONEY to be happy. Thats not true. Spend 600 bucks for a traveller tripod or you will have only a second-rate equipment and therefore you will be not happy and not satisfied. And for all this money spending as a slave of consumer society you have to work a lot more, you see your family less, it goes on costs of your health, long holidays become rare …. There are 16 reviews on that tripod, there are a fair few negative comments and not all about shooting portrait (vertical) which incidentally in my opinion is fairly important. There are also a fair few positive comments, perhaps 50/50. What is it with you and this magical 620 dollars? You pay for a cheap tripod, you get cheap performance. Bottom line. You are to the point of being annoying and the constant droning on and on and on and on about 620 dollars. I spend this much on filters or memory cards. The tripod I purchased isn’t cheap but it performs. Give it a rest already will you…. Its low priced and not cheap. And it is compact and sturdy. You won’t shoot that much better fotos when you spend 680 dollars for a high-end tripod. But you will enjoy your travel much more with 620$ more in your pocket!! Mark, you are comparing a low-end aluminum tripod with a high-end carbon fiber tripod. Think of it as a Hyundai vs Mercedes. Yes, Hyundai has a great value, but you cannot really compare to the Mercedes. The latter has a better build, reliability and an excellent resale value. Does 620 dollars really make or break your vacation? Really? My God, I have never seen anyone harp on and on and on over something for no reason such as you. Give it a rest will you. You’ve done your duty for king and country in your review. It might be best just to close this thread. It seems to have served its purpose. Again thanks for the great work you do. here’s a thought… when building a hi-fi stereo system it is usually recommended to spend 10-15% of the total system cost for interconnect cables or peripherals, likewise i use the same rule-of-thumb for DSLR peripherals like tripod, and i would say even up to 20% of your total cost to get a decent peripheral tripod/head system… if you have 10K camera/lens set-up, would you want it standing up there on a flimsy $100 so, so tripod? Nasim, very good review. 30 years ago I bought a used Bogan 3050 mainly for studio work with Med. format film. It has served me well however it weights 17 pounds so I don’t take it out much in the field. I have missed a lot of opportunities. I recently stepped up and purchased a Gitzo Series 2 Traveler and feel it is the best accessory I have for my digital kit. This 17 inch 3 pound wonder is always close by. One of the best things about the Gitzo is it’s ease of use. It can be deployed in seconds and is rock solid. This last week end I purchased a Gitzo G2180 fluid head to try video with. Within 20 minutes I had captured the best video I have ever taken. It fully justified my purchase. The Gitzo is a joy to use. I use similar (but not T-traveler) Gitzo for my work full time as snowboarding video- and photographer. Gitzo seems to be one of the few brands that offer these small and light but still sturdy enough tripods for professional use. Still I am having problems with G1158 tripod and I disagree with you on build quality part. Normal user might not have these problems but even Gitzos amazing quality won´t give you years of fail-safe use if you use your equipment heavily and full time. Are you in the Kamera Seura in Helsinki???? You have an interesting website, but I find the light text difficult to read especially when it is against the background image. I have used the 1542T for several years and absolutely love it. However, one extremely frustrating problem is that, while you can remove the center column easily, you cannot replace the base with to allow a low working height, which is very frustrating. I have considered cutting the center column off, but that seems kind of drastic. I’d love it if you could get a short “stub” center column. Otherwise, this tripod is quite bad for macro work. I wanted to mention that newer models (do they even make the 1542T anymore??) do have a clever system where you can remove the column and keep the mounting plate like a normal tripod. This is MUCH better. I would not advise anybody to buy the 1542T at this point. I contacted Gitzo to see if they had a short column for the 1542T, but they do not. Also, I think your stated height of 8.66″ is not correct; that would be only without a center column, which means not mounting plate, so not too useful. I have a 1542T and can remove the center column using the tripod at very low angles without it. To do this I unscrew the bottom and top pieces, remove the column and then screw the bottom and top pieces together with the tripod leaving out the column. Kevin — the short center piece only fits the newer model that replaced the 1542T (which is still called 1542T something or other). I have disassembled the post to see if there were any way to do what you described, and couldn’t figure it out. That is possibly a newer version feature as well. But I will try again when I get home and can try. Thanks for your comment! Great find thanks Nasim and I really enjoy reading your posts, BTW. Until now I’ve been pretty happy with my Manfrotto 715SHB as my travel tripod (here is the specification: . It is also 2.2 pounds, but folds to only 14.4 inches so it fits nicely into my shoulder bag. The stated capacity is only 5.5 pounds, but I’ve loaded that with my D3x with a 24-70mm with no problems. Mostly, however, I use it when I travel with my Leica M series cameras which of course weigh nothing and in some sense are the ultimate travel camera. The Manfrotto 715SHB costed only $90 new and you can probably find it on eBay for less these days. I found it also helpful that it has an integrated ball head, so even less weight when compared against other tripods that need an attachment. Lock Tight on the threads which I suppose would work but would take away some of the versatility of being able to remove the ball head for travel, use on other tripods, etc. Any suggestions? I love my Gitzo traveler. I just removed the center post for low level photos and cannot get my Nikon mounted securely. I can get it screwed on but it very, very easily unscrews. Can you describe how i can mount it correctly? I have the same problem and I haven’t found a good solution yet. I think it is the plastic on the platform. It doesn’t generate as much friction as the platform on my other Gitzo does. Gitzo recommended using Locktite on the threads and mounting the head semi-permanently but I don’t do that because I travel with it and I find being able to remove the ball head helps a lot in packing. I am a backpacker and find this tripod an excellent tool. I use it with a Mamiya 7II and it does very well. I sometimes weight load the tripod to increase stability in wind but that can be accomplished by pushing it into the ground firmly with your hand as the exposure is made. I haven’t had an incident where the ball head came unscrewed in use but I have to admit the ease of unscrewing it makes me a bit nervous and I check it often. There may be some substance that could be applied to the platform to make it “stickier” but I haven’ found it yet. If you come up with something, let me know. I ended up just ordering a short center post for low level photog. It should work just like the longer one and all should stay tight. Just did not want to spend the cash if i did not have to. Hi Jim, I don’t have a Gitzo Traveler (just a heavier, but very sturdy, Systematic Series 3 tripod). If you can’t find something to make the ball head “stickier,” don’t be afraid about using Loctite as Gitzo recommends. IMPORTANT: Make sure you use a product like Loctite Threadlocker Blue 242. You can easily unscrew your ball head using blue threadlock formula by hand. DO NOT use the Red threadlock because you’ll need to head the parts that you want to separate — and I doubt you want to bring along a hand held blowtorch to help you unscrew your ball head. ;-) I’ve used the Blue 242 formula for many different projects and it’s worked just fine. Best of luck! I meant “heat the parts that you want to separate” — not “head the parts…” Oops! 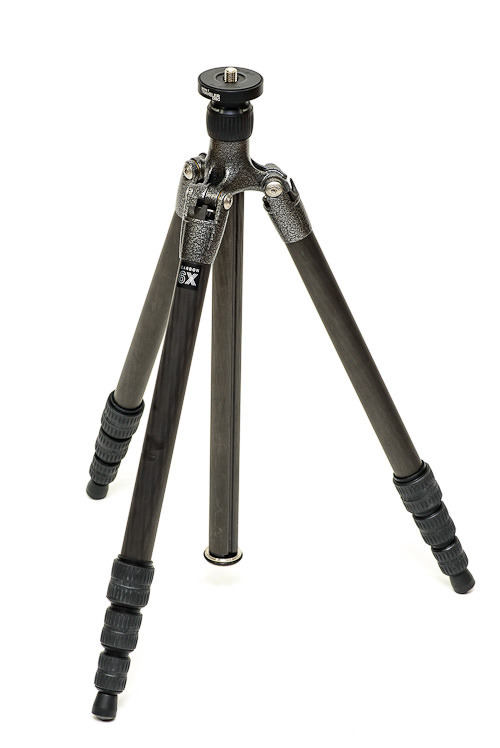 I am considering the Gitzo 1542 traveler tripod. can you tell me what the folded diameter of the unit is? I returned a Feisol because it was too wide. The length and weight were great but it just took up too much space in my duffle and backpack. 1) It appears from pictures that only a rubber foot is on this tripod. Can spiked feet be installed? 2) Is there any option for using a snow basket on the feet for photography on snow? 3) If there is no option to the rubber feet, what is your experience concerning stability of the feet for this device? I have a brand new Gitzo Traveler 1 and the lock for the center column has gotten very very tight. I wonder how to oosen it up clockwise or counterclockwise. I have to use a wrench and am destroying the rubber cover. It has a ball head system. TY. 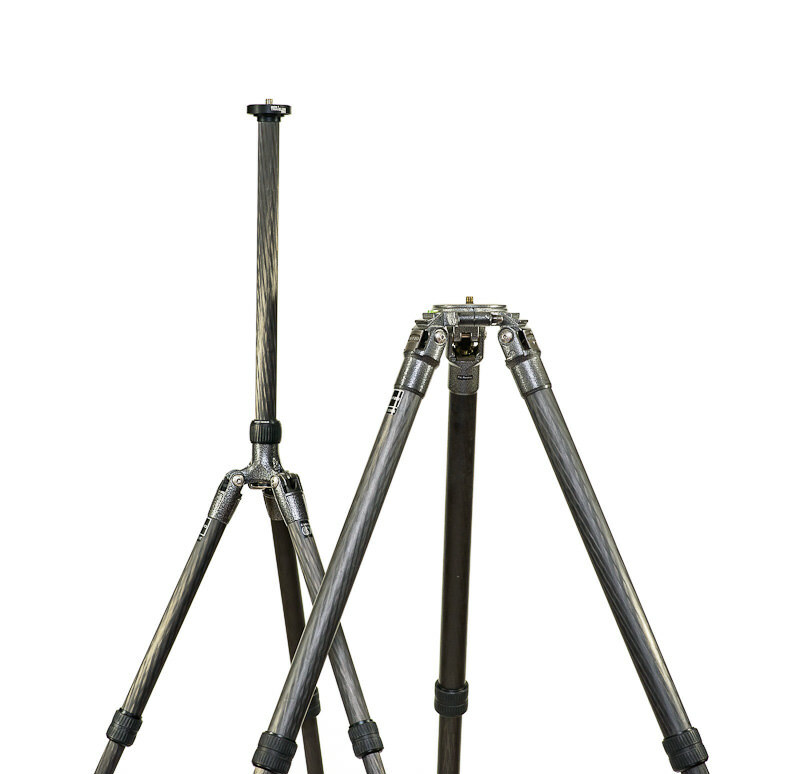 What is your take on the Induro line of Carbon Fiber tripods? Been looking at the specs on the Induro CT-214 and the larger CT-314 Models. The Really Right Stuff BH-55 looks like a great head from the articles I’ve read. Lou, both are excellent choices! Thank You. How would the Induro hold up compared to the high priced Gietzo line? I really enjoyed reading your thoughts on this tripod and I believe I will likely purchase one shortly. I’ve been using an Olympus OMD E-M1 with 12-40 f2.8 and 40-150 f2.8 lenses these days rather than my old Nikon D300. I’m hoping this Gitzo fits the bill for my traveling and hiking needs and also can support the upcoming Olympus 300mm f4. I was wondering how you feel about the 4 or 5 section Gitzo traveler? I’m curious if the 4 section is more resistant to vibration. Or is it simply that the 5 section has a shorter length when folded. The 5 section seems to be a bit more expensive as well and probably takes longer to open up. Any thoughts on whether to go with the Merkins Q ball or the RRS BH30 in terms of ease of use and stability? Unfortunately these are not items that one can really try out in a store very readily. tripod that can handle the above equipment and is more managable? i think the mountaineer models are way more versatile than the traveler models. teh traveler are fine yif oyu need the smalles possibel from gitzo. but the 10cm more of the mountaineer length will give you a way more.